Dozens of Russian diplomats, some accused of being spies, were expelled Monday from the United States. Most of the expulsions were at the Russian consulate in Seattle which the Trump administration ordered closed. The move follows the poisoning in England of a former Russian spy and his daughter with a deadly nerve agent. As the U.S. tries to navigate some increasingly perilous foreign policy waters, President Donald Trump has named John Bolton, President George W. Bush’s United Nations ambassador, to be his next national security adviser. Bolton replaces Lt. Gen. H.R. McMaster, who according to reports never really clicked with Trump. 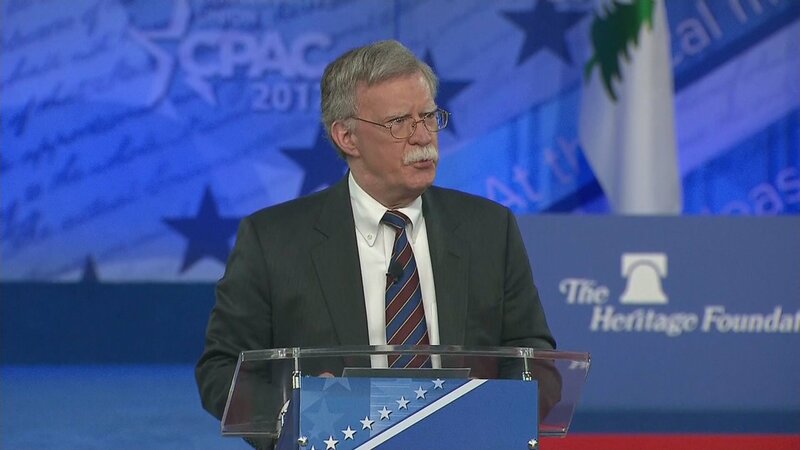 Bolton is known as a hawk and was one of the chief proponents of the war in Iraq to remove Saddam Hussein from power. He was apparently unconcerned when no weapons of mass destruction – the original pretext for the war – were found. He has also expressed his disdain for the Iran nuclear deal and advocated military strikes against both Iran and North Korea. Many critics have likened him to a man with a hammer that sees every problem as a nail. Just last month Bolton published an op-ed in the Wall Street Journal calling for a pre-emptive strike on North Korea. President Donald Trump has named John Bolton, President George W. Bush’s United Nations ambassador, to be his next national security adviser. Cécile Shea, a former U.S. diplomat who specializes in analyzing security and diplomatic issues at the Chicago Council on Global Affairs, says she is worried that Bolton may want the North Korea talks to fail because that would increase the likelihood of military action. Shea and University of Chicago professor John Mearsheimer, who has just returned from South Korea, join Eddie Arruza to assess Trump’s foreign policy inbox.